"To grow anything, you have to pay attention." Adam Tolmach went to UC Davis and studied viticulture and enology, and after graduating in 1976 he settled down on the property his grandfather bought in the Ojai Valley in 1933 to farm sweet corn and melons, selling them at a roadside stand. After two years of this satisfying, yet difficult and nearly profitless work he sought employment in his field of study. With degree in hand he found work at Zaca Mesa in Santa Barbara County. Before long he decided to follow his own vision and started a winery with fellow employee Jim Clendenen in 1982. The winery, Au Bon Climat, was an overnight success, but after nine years together Jim and Adam realized they had to follow separate paths. Jim bought the business in 1991 and went on to further glories. 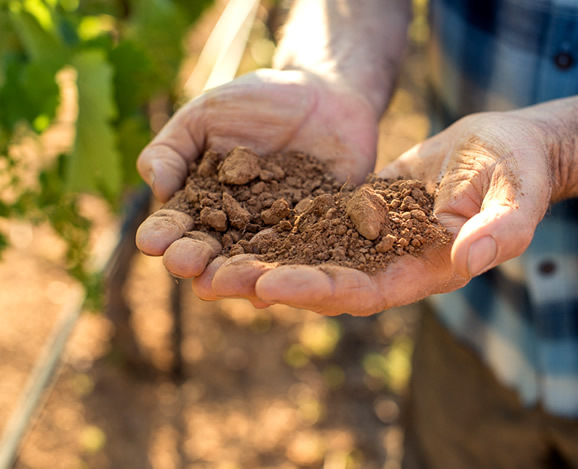 Simultaneous to all this, Adam had planted a vineyard in Ojai to syrah and sauvignon blanc and had begun producing wine from that fruit in 1983. 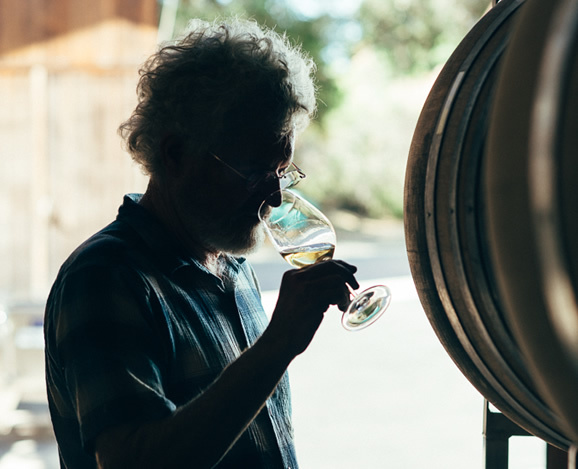 When the collaboration with Clendenen ended he concentrated all his attention on The Ojai Vineyard to further explore the infinite details of his craft. Looking back over the last 25 years, one can see the development of The Ojai Vineyard came in three distinct phases. In the beginning it was lots of fun discovering the budding Santa Barbara County, experimenting with new plantings, new areas, and a wide selection of varietals; Pinot Noir, Chardonnay, Sauvignon Blanc, Syrah, and other Rhone varietals. Back in 1983 the vines were grown without much care in what was called a California sprawl. It took years to get growers to move towards progressive practices like drip irrigation and vertical trellising to improved wine grape quality. This brought about the second phase where Adam honed an uncompromising plan striving to make the best possible wine. By 1994 the wines were consistently delicious and attracted notice which furthered his success. With it Adam was able to change all of his grape contracts and purchase them by the acre rather than the ton—enabling him to direct farming practices and reduce the size of the crop by thinning. The clusters that were left on the vine to mature ripened more evenly and were more intensely flavored. He found himself paying 2 or 3 times the typical price for quality grapes but felt it was all worth it. For the next 10 years the wines were big, boisterous and delicious. He worked relentlessly to fine tune the winemaking process to make it as natural as possible, using only tiny quantities of sulfites and avoiding fining and filtering, with an aim to further improve quality. 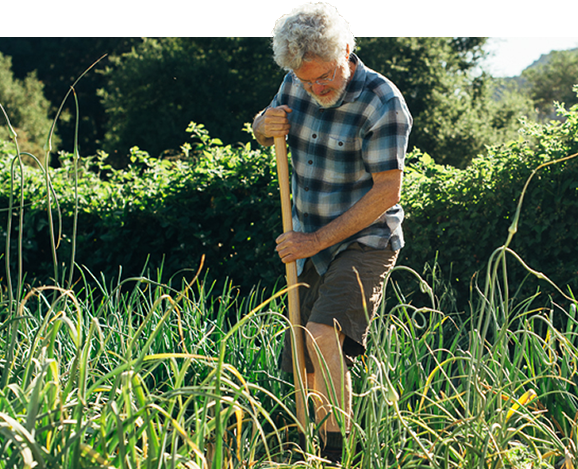 He took steps to transition the farming from sustainable to organic practices, because he knew it was the healthy thing to do and saw that it positively affected wine quality. 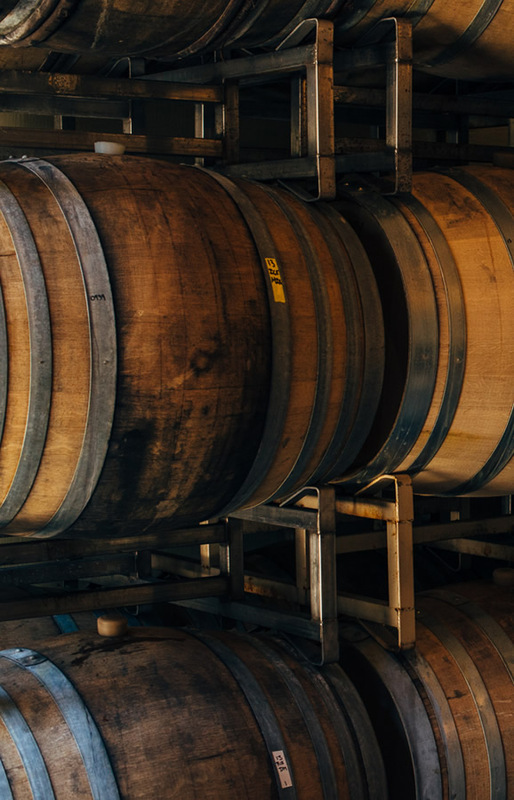 In 2000 he began aging some of his Chardonnays in only older barrels, and found their individuality showed more clearly without the toasty influence of new wood. He was so pleased with the results that he decreased the use of new barrels for all of his wines, so as not to interfere with the character he was trying to illuminate. The question of climate was also a cornerstone—his years of experience showed him how the cooler climate sites were always better balanced and more expressive terroirs. He grew determined to focus on those sites and abandon the warmer climate vineyards. The most recent reevaluation was with the complex question of ripeness and the determination of when to harvest the grapes. After a seminal experiment in 2005 with two Clos Pepe Pinot Noir lots picked 2 weeks apart, it became evident that there was a lot to be learned about the crucial time of picking, especially in the mild climate of coastal northern Santa Barbara County, where no overriding environmental concern like rain, rot or frost forces the decision. After spending two decades learning to farm better grapes, physiological ripeness was not an issue anymore but over ripeness was. When grapes were ripe but not overripe, the resulting wines were more aromatic and possessed finer balance. After more experiments the following years Adam started picking his fruit slightly earlier, opening a new stylistic era for his wines.